I am the proud owner of Bonnie, who we adopted with the help of STECS last October. She’s an adorably sweet girl. She’s Miss September in the STEC’s 2012 calendar! I’m a professional illustrator and designer, but have always enjoyed painting dog’s portraits in my spare time too. 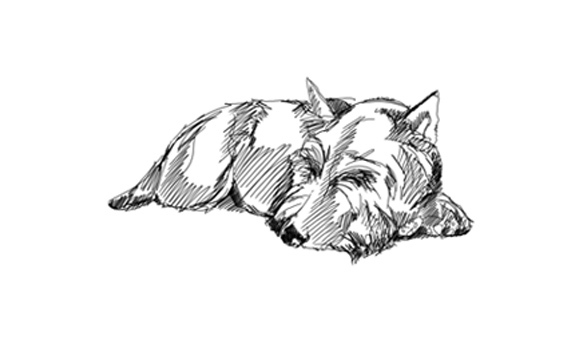 Then along came my beautiful Scottie who has been my inspiration to create my website dedicated to my passion of art and dogs – and so Bonnies Portraits was born! I’d like to share the website with my fellow STECS members, who may be interested in my artwork.